The second cylinder from the top on the LH SRM on (at least) STS-4, STS-5, STS-6 and STS-27R, has "something" on the outside. http://images.jsc.nasa.gov/lores/S82-39537.jpg What's that? After which Shuttle Mission did they stop performing tanking tests of the ET as a standard pad-flow milestone? I believe these were also called WCCDTs ( wet countdown demonstration tests ), and did they all end at T-31 seconds? They did the WCDT on STS-1, 2, 3 and 4. STS-5 had a Integrated tanking "something" (I'll have to search the name...). STS-26R had a WCDT before the FRF. BTW, anyone wants to take my SRB question? I thought I read they performed tanking tests even upto and including STS-9-I may be wrong. WCDT were performed on STS-1, 2, 3, 4 and 26R. On STS-1 the WCDT ended in the FRF at 200281, while on STS-26R the WCDT was on 010888 and the FRF was to be on 040888 but was delayed to 100888. STS-5 had a Integrated Cryogenic Loading Test to verify ET SOFI integrity, verify the loading sequence and test the ability of vehicle components to function properly in the supercold environment. STS-1 also had 3 tankings: the first loading test on 220181, and 2 tankings on 250381 and 270381 to check the repaired ET SOFI that fell off (if you look at FRF pictures/video you'll see that the ET is wraped in the area below the orbiter nose). Then came the hot summer of 1990 (or cold due to all the leaking LH2 ): 2 mini-tankings on STS-35, the first on 060690 with LH2 loaded to 20%, and the second on 301090 with LH2 loaded to 100% with normal topping and stable replenish. 4 mini-tankings on STS-38, on 290690 with 5% LH2, on 130790 with 50-65% LH2, on 250790 with 10-15%, and on 241090 with 25% LH2. Then they did something on STS-37, an inert leak check or something. I think it had to do with having OV-104 and ET-37 together again (ET-37 was the original tank on STS-38, it did the first 3 mini-tankings). 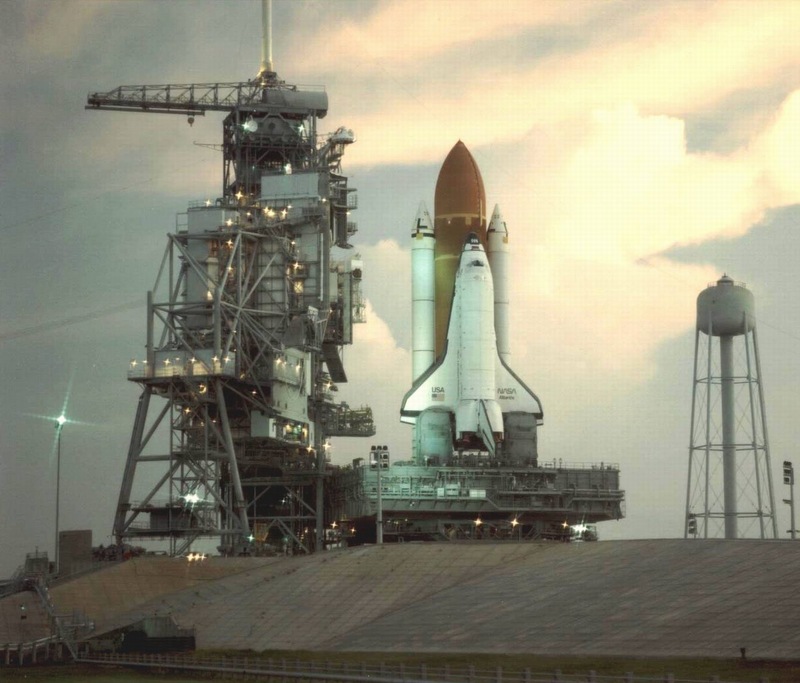 STS-91 had a tanking test on 180598 to test the first SLWT, and STS-114 had 2, on 140405 and on 200505. Is this enough info for you? "I thought I read they performed tanking tests even upto and including STS-9-I may be wrong." Don't know because on the web, NASA has (in my opinion) little info about the early missions...., but I think the WCDTs were only a part of OFT missions. Thank-you so kindly for the detailed answer!!! Anything is possible, but there has to be a reason. It was designed to. GLS’ post is correct there is an altitude restriction for the OMS (orbital maneuvering system) engines. They are not ignited below 70,000 feet primarily because of aero-thermal concerns. The worry is that the engine bells would collapse. I don’t believe there is any altitude constraint for the RCS (reaction control system) jets. However, the first time they are used is right at SRB SEP (solid rocket booster separation) to help protect the orbiter windows from debris/residue by deflecting the plume produced by the separation motors. The last time they are used during a mission is when the orbiter slows below MACH 1 (which is ususally at 50,000 to 55,000 feet) prior to landing. Interestingly, with regard to Pad test firings, the RCS thrusters on the Gemini capsule were test fired late in the countdown after the crew had been strapped into their seats and the service structure had been retracted. How thick is the steel that the outside of the SRBs are made of and how many holes are there around the bottoms and tops of the segments, the holes that the technicians insert bolts through when the segments are stacked together? How long does it take for the exhaust to clear the pad after launch? Is that cloudof smoke hazardous? I believe there is hazardous gas involved and it takes three days for it to be safe. Someone will be able to confirm that. Winds out at the Pad obviously play a major role in how long it takes for the exhaust cloud to disperse. It typically goes away pretty quickly. There is a very distinct oder after launch...probably not in my best interest to be inhaling that very deeply. Pad access after launch is controlled by the NASA Test Director. About 10 minutes after launch the initial Pad Safing Teams are dispatched. The areas around the Pad are inspected and within about an hour the FSS and MLP are inspected. FOD (foreign object debris) walk downs are conducted and by about 3 hours 15 minutes after Launch the Pad is declared open. In fact they usually let the Media/Photographers in the Pad area within hours of Launch so they can retrieve their remote cameras. My theory on that is NASA is letting those guys (photographers) serve as human “canaries” like they use in coal mines. If a photographer keels over then the NASA Test Director knows it is not safe to let people he likes into the Pad area. So wrong yet so funny. Not only are we out there, but we touch that exhaust with our bare hands. It's hazardous but certainly not on the order of keeping people out very long. It's all dilluted a lot. SRB exhaust consists mainly of of hydrohcholic acid (very corrosive to things like cameras (! ), in liquid (dissolved in water) and gas forms); aluminum oxide (white residue that gets all over everything); and nitrogen dioxide (the smelly gas in the air, toxic in concentrated amounts). There's more stuff (because the fuel has polymers as well keeping it together) but that is what results from the burning of the fuel portion.